Strawberry Road: Scrappy with Tanker Fairy! Hello and Welcome to my interpretation of the "Scrap It" Challenge with Tiddly Inks! This week the challenge is to create something scrappy! It may be a journal page, a scrapbook layout or however you interpret "Scrap it" while featuring one of your favorite Tiddly images! 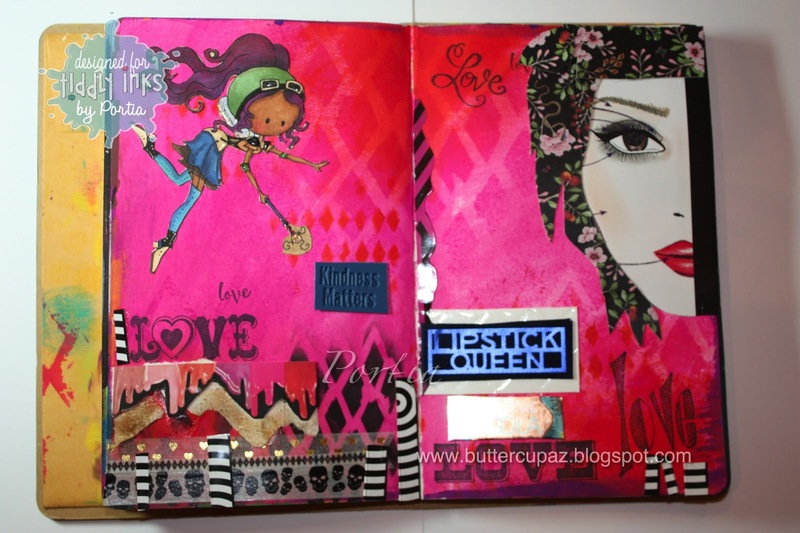 I chose to use Tanker Fairy Flies in the upper left corner of my journal page because she adds some movement and fun to the whole scene! Thank You for stopping by and I hope you feel inspired to get scrappy with us!